CALGARY, AB – Village Brewery has announced release details for a new limited edition beer that will be debuting today. Go ahead, introduce yourself to this natural auburn beauty. At first, you’ll be seduced by the pure flavour and smooth body of a fine red malt. But give it time. Ginger is more complex than that. Suddenly, without warning, smooth will turn spirited. And hot. 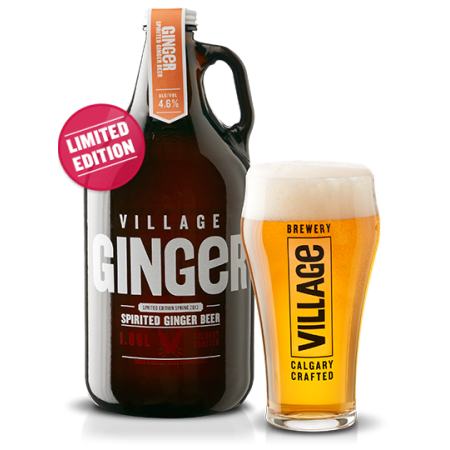 Only 4 batches of Village Ginger have been brewed, with 2000 growlers going on sale today at the Village Brewery retail store and select liquor stores in Calgary. It will also be available on draught at several local bars and restaurants while supplies last.